As reports surface that Carlyle, Bob Diamond are mounting a bid. Barclays Africa may end up privately owned, if reports of a potential joint buyout by Atlas Merchant Capital and Carlyle Group are true. Quoting “people familiar with the matter”, a number of international media agencies have reported that US private equity group, Carlyle and Atlas Merchant Capital, the investment vehicle established by former Barclays CEO, Bob Diamond, are teaming up to make a joint offer for Barclays Africa. 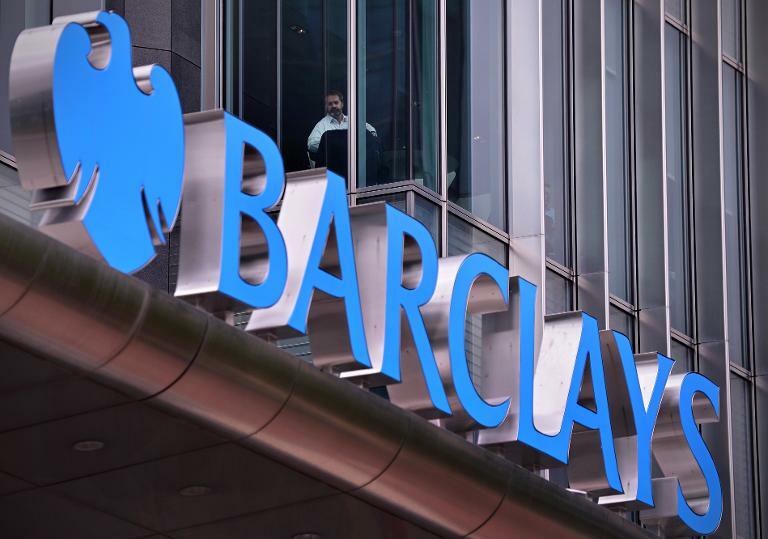 Barclays Plc last month confirmed what was already widely suspected by the market, saying it would sell down its 62.3% stake in Barclays Africa over two to three years as a result of onerous capital requirements levied by UK regulators on multi-national financial institutions. Barclays acquired a 55% stake in Absa back in 2005. The Barclays Africa Group was formed after Absa acquired Barclays’ African operations in 2013. Days after announcing the sale, Barclays Plc CEO, Jes Staley, told Bloomberg Television that the group would consider an offer for its entire stake in the African banking unit. The day before Staley’s interview, Maria Ramos, CEO of Barclays Africa told the Wall Street Journal that she was not keen on a piecemeal sale of the group. But the oft-cited difficulty with a clean sale of the entire stake is the sheer size of it. With a market capitalisation of roughly R123 billion, a 62% stake in Barclays Africa would cost in the region of R76 billion, while a 51% stake would cost R62.7 billion. If Barclays elects to keep a minority stake – a maximum of 20% to escape capital charges – the portion it would have to offload would still amount to some R52 billion, a not insignificant $3.6 billion. With local banking groups blocked from buying such a large stake due to competition issues, and no obvious buyer among foreign banks, the possibility of a private deal has gained traction. “Deal size for offshore PE firms is always an issue on the continent, as there aren’t many transactions that can provide them with a sizeable cheque to deploy,” says Shabbir Norath, head of advisory at Nedbank Corporate and Investment Banking. The Barclays Africa transaction may just be the transaction that a sizeable PE firm, such as Carlyle, has been looking for. “In this instance, Barclays Africa has a number of strengths that would make it appealing to prospective bidders, including its presence in multiple African markets and the fact that the long-term fundamentals for financial services on the continent are very positive,” comments Andrei Vorobyov, who heads up Bain & Company South Africa’s private equity practice. Reports began to circulate shortly after Barclays’ announcement that Diamond – who formed London-listed Atlas Mara late in 2013 for the stated purpose of creating sub-Saharan Africa’s “premier financial institution” – was rounding up investors to back a takeover bid for the bank that he largely helped create. The Africa bull was reportedly forced to resign from Barclays in 2012, following the bank’s implication in the London Interbank Offered Rate (Libor) scandal and fines of around £300 million from UK and US regulators. Atlas Mara has control of, or significant stakes in, banking operations in seven countries in Africa. It has a market capitalisation of £197.7 million (R4.2 billion) and assets under management (AuM) of $2.6 billion. With AuM in the order of $283 million, Atlas Merchant Capital is even smaller than Atlas Mara. Based in New York, the firm was founded by Diamond and David Schamis in 2013 “to participate in compelling market opportunities in the financial services sector”, according to its website. It’s not entirely clear why Diamond would elect to use Atlas Merchant Capital rather than Atlas Mara to mount a joint buyout of Barclays Africa, considering the size differential. That Atlas Mara is listed and is relatively small may prevent it from bidding for such a large entity, an anonymous source told the Wall Street Journal. “Atlas [Merchant Capital] has been actively looking for acquisitions on the continent,” according to Norath. And Carlyle lends significant firepower to that ambition. One of the largest private equity firms in the world, Carlyle’s buyout funds have $56 billion (R812.9 billion) in AuM. Since its launch in 2011, the Carlyle Sub-Saharan Africa Fund (CSSAF) has made five investments on the continent, including in South Africa’s Tiger Wheel & Tyre. The CSSAF has only one banking investment in Africa, namely, Diamond Bank in Nigeria. It paid $147 million (R1.6 billion) for a roughly 18% stake in the bank. The fund has both a stated focus on financial services and on eight countries where Barclays Africa owns majority shareholdings in banks. The only exception is Nigeria, where Barclays Africa has a representative office. Naturally the South African Reserve Bank (Sarb) will give oversight to any such sale, particularly if it is a majority sale and results in a single, large shareholder. Whether or not the Sarb will be keen on a large private equity shareholder remains to be seen. If it approved a majority sale, Absa would become the only major South African bank controlled by private equity investors, who may elect to delist it from the JSE only to relist it on their eventual exit, or sell it to another willing buyer. The Sarb may not be keen on having one of the country’s largest banks subject to so much corporate activity. The Reserve Bank has previously told Moneyweb that it engages with all banks as part of its supervisory role and does not comment on individual banks. Carlyle declined to comment on reports that it was putting a bid together for Barclays Africa, while Barclays said it wasn’t commenting either.